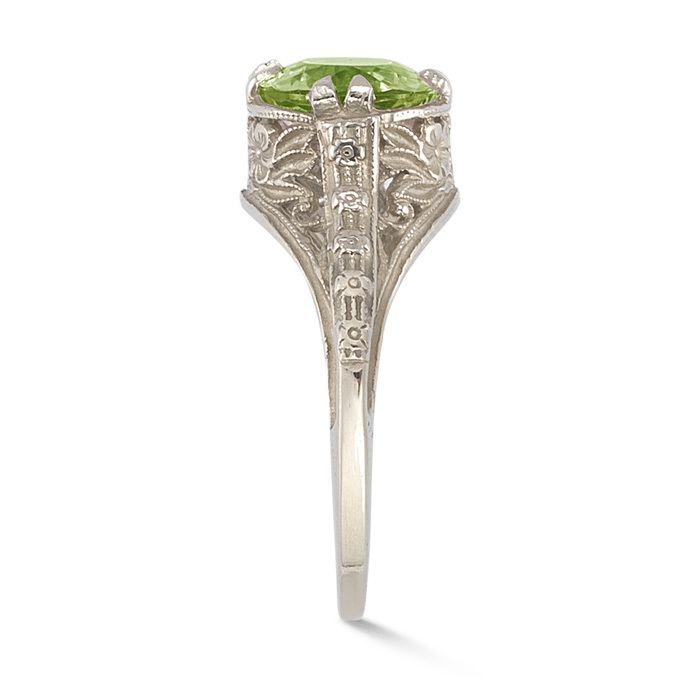 Unique vintage Victorian-style in 14k white gold set with a 10mm x 8mm Genuine Peridot gemstone. Also available in yellow gold, 18k gold, or platinum, by request. Height of Setting: 5.5mm (under 1/4"). **Note - 18K will take 2-3 weeks to manufacture. 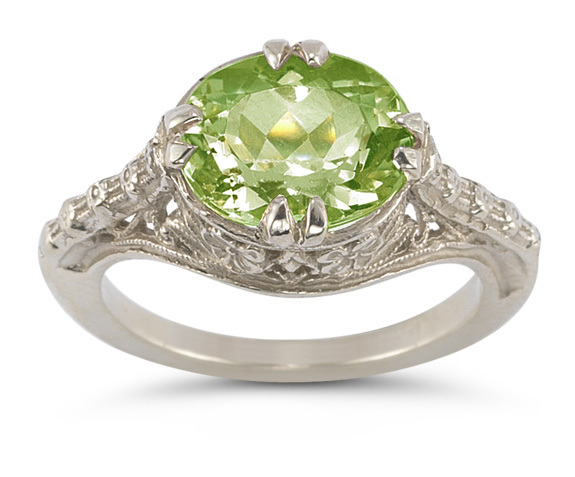 We guarantee our Vintage Rose Peridot Ring in 14K White Gold to be high quality, authentic jewelry, as described above.